5 vendors have this plant for sale.43 members have or want this plant for trade. While walking in the park one day, I happened upon a yellow poplar along the side of a trail. I reached up to pick one of the blossoms and my hand came away sticky with sap. Being the curious fellow that I am, I decided to taste the sap. Lo and behold it was delicious! it has a sweet, almost honey-like flavor with an earthy aftertaste. The sap would be a delightful complement to a nice acorn salad or even a cool refreshing iced spruce tea. The tulip poplar is my number two favorite tree (the American Elm ranks first)! I live in west-central Pennsylvania on 68 acres of land, 60 acres of which are woods. Tulip poplars grow throughout my woods, and when I walk through the woods I'm always careful, lest I trample the many seedlings that grow in the vicinity of the parent trees. One specimen towers above all of the other trees in the woods, and I see it daily in my comings and goings. I call it the sentinel. One tree grows along the treeline of my back yard, and just finished blooming. It's leaves are easily the size of a luncheon plate - huge and stunning. Yes, deer love the leaves and tender buds of the tulip poplar, they keep the lower branches of that tree pruned. Two years ago, early spring of 2012, I moved ... read morea two-foot tall tree that was growing in my neighbor's yard, planting it as a specimen tree in my backyard. This year, it has already grown one foot and a half, and is now taller than I am - and I stand at 5' 11". Definitely a happy tree. I do have a high fence around the tree so that the deer can't get at the lower branches. If you have the space, I highly recommend the tulip poplar - for its lovely shape, the huge and attractive leaves (both during summer and fall), it's flowers that are so out of reach, and it's ability to grow into a beautiful accent in any yard that is spacious enough to do it justice. This is a majestic shade tree, with a long straight bole when woodland-grown, developing a wide-spreading crown when grown as a specimen. Two grand specimens planted by Thomas Jefferson flank Monticello today. I lived for six years in a house shaded by a tulip-tree, and never once saw the flowers. They're green, and get lost among the foliage up in the crown. The orange marks are only visible from a helicopter. It is astonishingly fast-growing here. Like many fast-growing trees, it can be weak-wooded, and subject to wind breakage, especially when grown as a specimen. Your mileage may vary. Like lindens here, Liriodendrons drip sticky sweet honeydew all season, thanks to chronic aphid infestation. Black mold grows on the honeydew and covers pati... read moreos and lawn furniture with sticky black gunk. Systemic insecticides kill not only the aphids but also the honeybees. So this tree is best planted in a large parklike setting away from heavily used areas. Among gardeners, this tree has a reputation for having thirsty, competitive roots. It isn't the easiest tree to garden under. Early leaf drop is a sign of chronic drought stress. The fall color is a luminous yellow. The pollen is only mildly allergenic---it's pollenated by insects and not by wind. I realized, after reading Tolkien, that in visualizing the grand mallorn trees, I was basing my imagery on mature tulip-trees. I have grown the Liriodendron in two countries. In New Zealand it coped with an average 3 meters of annual rainfall and low fertility acidic soil and still grew quickly and large. Its autumn foliage was able to handle high rainfall and remain on the tree unlike many decidous plants and its yellow autumn colouring was consistent and bold even without much chilling.It did not flower well though. Its about 15 yrs old. I now live in Australia, and am trying to grow another inland from Brisbane (in subtropical Queensland) - they grow in southern Australia and 2 hrs inland from Brisbane on the range where its cooler. I came back from holiday (after they had experienced a day where the temperature was over 45 degrees celsius -greater than 113 Farenheit) and its a 3 ft twig but stil... read morel green under the bark so I'm hoping it will re-shoot from lower down. It doesn't handle hot dry winds or real heat. May 17, 2013 I have three 32 year old Tuliptrees that not only survived a tornado when they were 12 foot saplings in 1989, but aside from losing dead branches during storms, I have never considered them fragile or brittle. My Silver Maple is far more fragile in the gale force winds we get up on this hill. I have a fine Tuliptree specimen by the driveway that is just beautiful. I raised all three from tiny seedlings and have a one year old seedling the one by the driveway tossed last year. In our zone I am not certain if the seedlings survive well since this is the 1st in the 17 years this tree has been flowering. Also on your list of where this plant is found-Connecticut is not there and should be. My 3 were born in Monroe Ct and reside in Watertown CT--zone 5. This is one of my favorite native trees: It is a source of fine wood (Yellow Poplar), has interesting leaves, pretty flowers and interesting seed pods. In addition, this tree is essentially one of our native climax trees: While the entry above says "over 40 ft" for its height, most plant guides and sources I've seen list its maximum height as around 200 ft. There are several trees in the Tuscarora State Forest and Bear Valley State Park that are close to that height, and my father discovered some HUGE old specimens in the Buchanan State Forest that were about 10' in diameter at the base, so keep that in mind when planting them. Great tree! I have 3 100ft+ ones in my front yard. Beautiful, and provide so much shade, but be prepared to wash your cars if they are near them. The branches break fairly easily, but overall very strong. My trees have survived many windstorms and a tornado! A house I bought had a tulip tree growing next to the driveway. It was a beautifully shaped tree and the flowers were very striking. But, the sap it dripped was terrible. It covered the cars with sap and mad a mess. Never plant one near where your vehicles will be parked. The wind will carry the sap around the area too. Hated that tree for the sap mess on my vehicles. Used to live in southern MD (Calvert County) where these trees grow huge. TP Flowers make a wonderful supply of nectar for bees, and the honey is dark brown like molasses. One tree equals one acre of clover. BTW, Calvert County has a remaining living stand of American Chestnut trees down along the Chesapeake Bay in a place called Scientists Cliffs. They are in a protected cove, sheltered from land breezes and somehow have avoided the Chestnut blight. They are huge trees, over 100 ft tall. Amazing sight! Beautiful tree, but still looking for answers about raining sap! I'm on a city street... my tree is a few feet from my front door, in a square of earth surrounded by pavement. It hasn't buckled the sidewalk as much as other large trees do, and I've had to beg the city not to cut it down twice during the past 16 years (it is the last large tree on my block). Every year, it has bloomed, shaded my house from midday to sunset, and quickly dropped its big yellow leaves. This spring, and continuing to the present (Sept.), it has absolutely rained sap - for the 1st time since I bought this house in '95. Light, tacky, that can actually be felt as a spray! Wasps, bees, hornets, horseflies (& moths at night) all congregate on my little sap-covered car (it does wash off with a little effort & a lot ... read moreof quarters)... last night I spied a new tenant... a large praying mantis! I was just worried that my tree might be sick, since I have never had this spray before this year. It's an inconvenience, & I am going through a lot of windshield washer... but doesn't seem to be hurting anything, and no one wants to take my parking spot. I would prefer this huge tree not drip on everything, and wonder if it's normal, or cyclical, or symptomatic of something wrong? Live East of Akron, OH. There is HUGE Tulip Tree on the property line belonging to a neighbor. It is a very impressive tree. I wanted a tree in my yard to provide shade from Western sun, so about 9 years ago, after a lot of research, I decided to put in my own TT. This is on the opposite side of the front yard from the neighboring tree. I had Davey Tree Service put in the tree, so I know it was done right. I am on a hill which is the highest point in the area and my soil is quite sandy. The TT is now about 20-25 feet high. My concern is that this tree does suffer frequent wind damage to the upper limbs, even when more common maples and oaks do not. It lost it's header soon after planting. Yesterday, I pulled 4 upper branches out of it that had been s... read morenapped off and were stuck in other limbs. I am fairly sure this happened this spring and not from freezing. While pulling one of the limbs down, I accidentally snapped off a good limb of about an inch in girth. I did not know these trees were so fragile! Is this because it is a fast grower or is there something I am neglecting about it's care? I have not been watering it or fertilizing since the first few years. I believe I am pushing the limits of hardiness on my tulip tree, being I am in zone 4a. It buds out quite late and scares me each spring. My tree was about 18 foot tall last summer when a very windy storm took off the top 5 foot of new leader growth. It adds more growth than any tree I've everhad once it became established. Mine is 6 years old and has yet to bloom. I've read all the comments and can't wait for the flowers. Even without the leader this tree has righted itself and looks very good this year. I'd love to have the 100 ft. tree I keep reading about. I live in Nashville TN, where the tulip poplar is the state tree. They are all over my neighborhood. What I want to mention that I haven't seen mentioned before is that the tulip poplar is a GREAT honeybee forage plant--one of the absolute best!. The dripping and aphids that some have complained about is the nectar that just overflows the blossoms, it is so abundant. In these days of honeybee colony collapse disorder and all the challenges they face, this tree is a Godsend to them and blooms just in time for them to have built up their hive enough to fully benefit from it. If for no other reason, this one is good enough to encourage more people to grow it and not to cut it down because of its faults. I just moved here in January and saw the unusual bark on the tree. Now the leaves have started and they are beautiful. I knew I had seen the leaf before in my Plant Science book from college. So I looked up the tree and discovered it was a Tulip tree. I have read the various comments, which were very helpful, so now I know what to expect from the tree. We had two hard freezes and they didn't affect the tree at all. It is about 30 feet tall.We have some black Locust trees near it and now that I know how big it gets we can get rid of the other trees. We have sandy loam soil so it should do well here. The tulip poplar tree is an excellent shade tree that is very resistant to disease and insects. It is also a fast growing tree but doesn't have the week wood of other fast growing trees such as the sycamore, silver maple, or American elm. There have been some comments about aphid infestation, and I noticed that most of these comment are coming from the Pacific Northwestern U.S. or Southwestern Canada. The tulip poplar is a "picky" tree when it comes to climate. It does not do well in real wet or real dry climates. If it is planted in the wrong climate it will probably be stressed and be vulnerable to aphid infestation. The PNW and SW Canada is just to damp to support healthy tulip poplar trees. I live in Kansas and all of the tulip poplar trees here do very well. They also ... read moregrow very well in Northern Oklahoma. This is because the climate here in Kansas and Northern Oklahoma is ideal to support healthy, non-stressed tulip trees. About 30 years ago, I dug up a 3-4 foot tulip poplar growing on the side of a road near my house. I got only part of the root which was actually a runner from a nearby tree. Planted it well and watered during dry spells for the first 5 years. It is now 50+ feet tall and one of the only trees in my yard that has not been damaged by wind. A beautiful interesting tree that has outperformed all other species that I planted. Likes mulch in the early years. I've been watching a Liriodendron mature nicely to height of about 65' on the front yard where I work, for about 16 years now. Last summer I was fortunate enough to spot a rare volunteer of the species along our boulevard and spirited it away to a better home (I hope!) in our back yard. We discovered early on that deer LOVE this plant, as it was eaten down to nubs in its first week. But after putting a small fence around it, it came back and grew nicely for what was left of the summer & fall. But then this spring just after it sprouted a few leaves, we had a very unseasonable late, hard frost, and a bunch of the leaves were frostbitten. Obviously very hardy, this little thing just kept cruisin' and is now a healthy little 4' specimen. I'll just need a much bigger deer fence ... read morefor a few years. I planted this tree about 30 years ago when we moved into a new home. It has proven to be exceptionally hardy and a great shade tree for my deck. I planted it on the SW corner of the deck, on a slight slope in clay soil. The 2nd year of growing, it snapped off about 5 feet from the ground, and before I could dig it out or saw it off, it sprouted from the trunk and began growing again! The 5th or 6th year, it again broke off from the wind, this time close to the ground. I cut it off at ground level, and unbelievably, it again sprouted from the ground to its current height of about 50-60 feet! It has just started dropping the lower branches (as other articles describe), but is a gorgeous tree, with the golden yellow leaves in the fall and is a certain conversation starter because of the shap... read moree of the leaves. Mine did not flower until about the 10th year of full growth, but that may have been due to the 2 shocks it sustained with the wind damage. 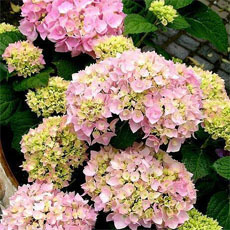 Low to no maintenance, watering only needed in dry summer conditions. 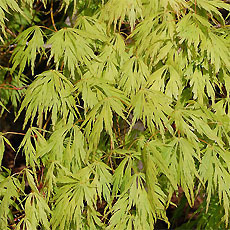 This tree is a lovely addition to a LARGE yard or garden. Very nice habit. Very nice foliage. Incredible fall-color. The flowers, however, are usually hidden high above the branches and aren't very showy (compared to other Magnoliaceae) but they are definitely worth to behold. It has the reputation of being rather brittle, when in an exposed site but this year, only a week or so ago, a storm toppled a neighbor's poplar, when our Liriodendron stood the test and only lost a few minor branches in a major storm. Ours is growing in Lake Michigan-sandy-soil and it seems to have been doing so for many years unharmed. I love it! There is a Tulip tree planted in Vancouver's West End neighbourhood downtown on Harwood Street planted over 100 years ago. It is 120 feet high. The woman who owned the property tried to secure its survival before she died, but the neighbour would not commit to preserving the tree legally (since fourty percent of the root ball is on her property). The city of Vancouver is debating on if it will provide density bonus to new owners of this property in exchange for not cutting down the tree. So the fate of the tree is in limbo. It is the tallest decidious tree in western Canada. It is a thing of absolute beauty and if you are ever in Vancouver, go check it out... Harwood and Bute street. karenkress, "hardwoods" are deciduous trees, such as maples, oaks, apples, cherries, aspen, poplars, etc. "softwoods" are your evergreens, such as spruce, pine, cedar, hemlock etc. Those places that call it a "softwood" are mistaken, and are probably using the density of the wood to make that determination. For example, Poplar weighs about 3.2 pounds per board foot, and is a "hardwood", while Yellow Pine weighs about 4.2 pounds per board foot, and is a "softwood", even though due to the weight difference, the pine would be harder (due to being more dense) than the Poplar. I am interested in the comments re fragility or not being storm tolerant. Most of these seem to come from areas where, according to Wiki, the tree is not found! In my area of the mid-south conditions are ideal according to experts and it proves an extremely sturdy tree. After the recent floods and violent storms in the Nashville area I went to Percy Warner Park, where many outstanding examples may be found. Several oak trees were damaged or destroyed but I did not see a single tulip poplar on the ground. Articles variously describe it as "soft" or "hard" wood. In my experience it is in the middle. Lighter than oak, stronger than pine, and quite unpalatable to termites and such. It is available in local sawmills and very useful for projects where the wood will ... read morebe exposed to weather or abuse - lapp siding on homes, fence boards, floors, etc. There was an enormous tulip tree in my back yard in West Orange, NJ . I used to brag to my city friends and colleagues that I owned one of the biggest trees in New Jersey. I managed to hang a circular wood swing from a high branch and the kids and I would swing with wild abandon until one day, at my daughter's birthday party with her little friends scattered about the back yard, the branch broke while I was swinging from it. I went sailing and landed on my back with a thud, staring up at several thick and heavy chunks of the branch falling, as if in slow motion, among and between the little girls spotted around the yard. To my great relief, none of them were hit, but I had bad dreams about it afterwards. After we moved the new owners took down the mighty tulip tree to put in a swimmin... read moreg pool. So it goes. I have 3 huge trees in my yard, on in the side yard, one in the back, and one in the front yard. I live in a valley and my parents live on the hill above me at my side/ back yard. I never knew what these three giant trees were until this spring. I told my mom that it looked like she had flowers on a tree in the woods near her front yard. When I went to investigate, I realized that I was looking at the TOP of the giant tree in MY back yard. That tree must be about 90 foot tall to stretch to her front yard! I pulled off a flower, and it filled my hand. It was fragrant and beautiful. The pulled flower lasted for quite awhile in my mom's kitchen. I came here and found out the name of this tree with the beautiful flowers and huge leaves- tulip poplar, the Tennessee state t... read moreree! I love it, the trees are amazing and grand. The only problem I have noticed is that we got a lot of rain this year, and it seemed that there are sproutlings everywhere. Not a nuisance, though, I just need to hurry and pull them up before I have 90 foot tall giants all over my hills! In January I bought a home on 2 acres of wooded land and I have about 12 of these beautiful Tulip Trees all throughout my property. I didn't know what they were, thought maybe they were oak trees so, I was surprised to see them get flowers on them a couple of weeks ago. Unlike many of the other comments mine have flowers all over the trees from top to bottom, not just on the tops. I asked my Mom if she knew what they were and she told me they were Tulip Trees. I think they're great! I dont know how old they are but they are huge! 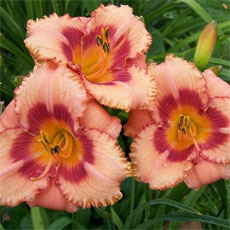 I do have a pollen problem with them but I think they're worth it! I also have lots of baby's that are growing up here and there and I'm going to let them grow. I think this is a great tree to have in your yard! I have read all comments about this tree and cannot believe one attribute has not been mentioned (unless I missed it); and that is the Fall foliage! There are two of these trees within a few blocks of my home. They are both at least 100 feet tall, and have the most stunning, golden yellow foliage of any trees around in late September through October. The only exception may be the beautiful Ginko's on our Capitol grounds in Columbia. Aside from the fall beauty, it is such a wonderful shade tree. I planted a 10' specimen a year ago, on the Southwest side of my home and it's doing excellent, now nearing the bloom stage. I fertilize in Fall and Spring, and water almost every day if it doesn't rain. Maybe I need to start smaller, but I have purchased 3 of these trees from a nursery where the plants originally had been grown out east (as in the Eastern United States) where the climate is much different. First of all, I noticed that during the hotter spells of summer the trees would wax and wane, losing their leaves rapidly. The two trees I planted in the partial shade of either my home or some Scotch pines did no differently in the heat of the summer. In addition, the growth of the trees slowed rapidly. The leaves were HUGE coming from the nursery while still in the pot, but when planted out they went from huge to about half the size they were in one season, and then the next season the tree died to the ground and started over. I went ahead with all the trees and pulled them out/dug th... read moreem up, and found that the root system was fairly healthy looking, and in all probability the trees would have started up again from the bottom, but to have a six foot tree turn into a seedling was pretty sad, so they were simply removed. Any thoughts as to growing these trees on the Great Plains? I would love to get one of these going, but need to have a healthy cultivar that will take a neutral/alkali soil better--if there is such a tulip poplar cultivar/seed source--and one that will take the zone 4b/5a we are in. My email is [email protected] if you have any suggestions directly as this is not a discussion thread per se but to talk about your own experiences. Thanks and happy growing! I live in Copiague on the south shore of Long island. I have two enormous Tulip trees in my front yard approximately 10 feet from my house. The trees appear to be about 80-90 years old and stand about 90 feet tall. The beauty and shade provided by these trees are well worth the slight risk of them falling on my house. They are very healthy and cool my entire house enough that i do not need any AC. I live within blocks of the great south bay and have high winds but these two old tulip trees have weathered the storms very well. If anything happened to these trees I'd probably sell the house. I HAD a tulip tree, planted it in my front garden to replace the alders that were past their prime but gave wonderful shade. I mistakenly got the idea that it would grow to only30 - 50 feet, now know that any size listed can be doubled here in the Pacific Northwest. I originally loved my beautiful tree. 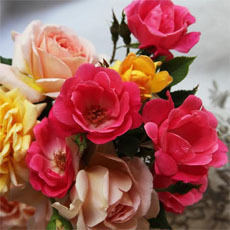 Bought for the lovely fresh green colour of the foliage, I was ecstatic when the beautiful flowers arrived. These Flowers can easily be missed if you dont know what you are looking for, you need to be close up to appreciate the delicate detail. Unfortunately, aphids and/or sap excretion became a messy nuisance, turning the lawn black and every plant under it sticky and atractive to all manner of bees and wasps. Not a welcome trait for the front garden. I let a side branch get too big(should... read more have removed it 3 years earlier) when a heavy rain proved just the added weight it needed to split off from the main trunk. Took a good portion of that trunk with it so it had to go. I miss the beautiful tree, but will be looking for something more appropriate to replace it. I have heard that this tree does not like hot dry conditions, wind or being next to pavement. It is planted next to restaurants and warehouses near me. In some cases it is planted a foot and a half from the curb! In fall we get hot dry winds and in winter we get cold dry winds. The trees don't seem to mind either. Most of the trees are quite large and seem to be perfectly happy. They are really beautiful trees and I am considering planting one right next to the street like I've seen just around the corner. There is one tree at the Minnesota Arboretum that is zone 4 hardy but may be marginal hardy - I don't know for sure. I have a beautiful huge tulip tree and love it, but, I'm getting a little worried about it. Many of the branches are drooping and literally laying on the ground. It's loaded with flowers all over the tree, not just at the top. I don't have any idea how to prune it or even if I should prune. Any help would be greatly appreciated. I'm so afraid of loosing the tree although it does appear to be healthy. I do agree that the rapid growth of this tree makes it more prone to breakage in areas with very high winds. But my mom had this tree in her front yard for years & we've had some very strong windstorms with no branches broken. Perhaps we were just lucky. I find the heavier insect infestation like aphids tends to happen when the tree is stressed. It really isn't a god tree for the average homeowner since it wants to grow very tall & is a hungry feeder. It can overpower most places quickly & is better suited to parks & large estates. Under good conditions, with sufficient water needs, insects aren't usually a problem. But under crowded conditions in most people's yards & during periods of drought, aphids are a real nuisance. I think it's a gorgeous tree in the r... read moreight setting, just not for most people. My tulip tree is good looking in the spring, but powdery mildew attacks it every summer. The fungus doesn't seem to hurt the tree, but it's not attractive. Leaves get coated with white powder, and some of them shrivel and fall off, all summer long. There's no way to treat a tree that large with fungicide and no cure, so I live with it. This tree was started from a random seedling from the forest, which in hindsight was a mistake. If you want to grow a good looking tulip tree, pay for a fungus-resistant cultivar. I have a species of a poplar, believe it is not a tulip, however I also get the sprinkling sap problem each year that is causing havoc to my autos. The yellow droplets are carried by the wind onto the cars and turn black after time if not removed. I am looking for a solution to cure the problem, short of cutting down the tree. Any ideas? Saw where someone mentioned a product by Bayer that is poured at the base of the tree. Anyone familiar with it? This tree is nice and attractive. It also provides a lot of shade. However, it is always covered in aphids and seems to be brittle. I have branches dropping out of the tree all the time and now the top has broken off. I am going to have to take it down. It is about 30 years old. Seems this grows better out east, but mine is over 80 feet tall here in the midwest. We get it trimmed regularly to avoid the problem of falling branches. Ours does have a hole in it and the trimmer said if it starts to split we'll have to cut it down. I've tried growing seeds (in case we lose it!) to no avail. Only once has a seedling come up on my property, and the second I moved it, it died. Squirrels live in it too, probably not a good thing?!? Fun to watch, though. Just bought a 101 year old house in South Eastern PA and a grand tulip tree is on the property which borders a canal. Until today I had no idea what it was, but this tree was one of the reasons I fell in love with this house. From historical photos I was able to find of the property, the tree is approximately 90 years old. It has a 25 ft trunk circumference, and about twice as tall as my three story house, offering shade to most of the yard. An interesting note on the flowers/pods- they are FILLED with nectar. I found this out when on a clear, breezy day I felt as if I was sprayed with something out in the yard. Turns out it was just the flowers falling and bursting on upper branches and my roof top, spraying me with nectar below! Sorry that s... read moreome here are troubled by the 'messiness' of this gorgeous tree, but I love it and consider the extra work as just another part of my gardening routine. This is a magnificent tree. Its flowers are magnificent. These trees surround my property in Mississippi and I love seeing the blooms in spring They are in a wooded area so I haven't had to worry about the leaf drop or the tree falling on the house. In fact, the house on my property is made from Tulip Poplar cut on the property quite a few years ago. In the living area the wood is oiled and is absolutely georgeous. The tree is very tall and is a hazard in states where hurricanes occur. I have had oaks and enormous pines fall on my house and know whereof I speak. In fact, it is a bad idea to have a super tall tree near the house in almost any part of the country. Grow poplars but make sure they are 200 ft. from your house. I live in Southern New Jersey and have 2 of these in my yard. They are about 4ft across the trunk, and way taller than the house, even though the house is on a high spot, and these are on ground lower than the basement. They shade most of my side yard and the house, but also keep you busy raking the yard. I don't know the age, but the house was built in 1929, and I think these were already here. They drop branches during storms, but dont appear to be in any danger of falling down. I don't have the sap problem I've heard others mention, must be lucky enough not to have aphids. This is the inherited centerpiece of our front yard. I have not noticed any aphid problems. It does seem to get some blight or perhaps anthracnose, but so far the tree has weathered it just fine. I agree that it's a messy tree, although I don't mind the yellow leaves falling early. The beauty of the tree in full "bloom" as well as its form and shade more than make up for its negative aspects. We often get comments from folks walking by asking what it is and remarking on its beauty. This tree is very hardy. I live in Zone 8 and here it is, mid August and we've still got new growth on it. I think the key is to keep it watered during the entire summer. We had a hail storm in May that did some serious damage to this tree. We thought we'd lost it, but it's doing beautifully! I love it. I can't wait to see it bloom. Right now it's only about 8 ft tall. I grew up in Northeastern MD, and we had the most lovely, enormous Tulip Poplars in our side yard...the flowers were magnificent, the shade delightful and the birds (orioles especially) loved to nest there. Now, living in Southwestern VA, I have my own young Tulip Poplar thriving in my "tranquil area". It is only about 5 or 6 years old (it was quite small when I transplanted it from my brother's farm) and, as I had been living in MX for the past 4 years, I had missed it's foliage time during our visits...until this Spring when we moved home. There, to welcome us back, were lovely tulips on my young (but strong and tall) Poplar...we are delighted! My 2 tulip tree's have been planted about 10 years and are probably 30 foot tall and maybe 1 foot in diam at the base. And they have been wonderful. they are close to my house on the west side and shade one of the upstairs bedrooms. I am kind of worried, since I read some of the comments. But I would like to know what these tree's are like when they get older? do they thin out or keep there limbs etc etc. Mine flowered early, I think they say June, but mine flower the 1st week of May (now). Have not been messy so far. We do water them in drouth, as we really need the shade and can't afford to let them die. I live in zone 5 central MO. They have not been messy yet.....talk about messy and that is my sycamore tree, which is probably about 36 years old!!! This is one of Virginia's more common native trees (& there were also quite a few of them on Long Island, NY, when I lived there). I have quite a few of them here on the farm. 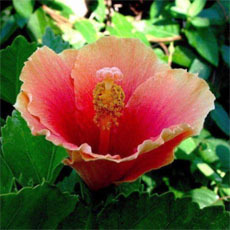 While not terribly "spreading" as far as providing shade, the springtime flowers are large & exotic looking. Also, while they don't appear to be terribly long-lived for such large trees, the dead ones provide homes for multiple wildlife, & I leave them be unless they're in danger of falling & destroying fencing or buildings. Woodpeckers & small mammals LOVE them for home sites. If planting in or near pastures, be aware that livestock (cattle & horses) do love to eat the leaves. These trees are native here and are one of my favorites. I've survived 3 hurricanes which took out lots of mature oaks but not one Tulip Tree. I just bought this tree. It had a pretty shape in the picture and was advertised as 30' x 90'. I'm going to uproot it and try to repot the tree for return to the store or throw it in the trash before the home owners complain about me trying to grow this tall tree that is prone to falling over in a hurricane. I'll probably just get a plain maple tree. This is a very attractive tree,I just love the shape of the leaves.It is a shame that it doesn't have stronger wood. 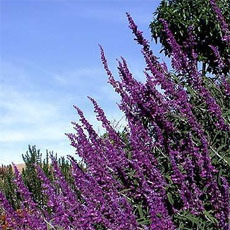 It is not very drought tolerant, it tends to drop it's leaves during dry hot summers. Its mostly a swamp tree in my area. It's a tree worth planting if you have a spot a good distance from the house with ample moisture. I have noticed that most of the photos posted have leaves with pointed lobes, while mine has more rounded lobes(see my photo). This tree can grow quite large,only the Sycamore could be considered a larger tree East of the Mississippi River. One of the handsomest and most distinctive forest trees, growing to 190' with a long, straight trunk. Crushed twigs and leaves are aromatic, a closer relative to the Magnolia than the Poplar family. The wood is useful in many ways. Furniture,shingles,boats, impliments,boxes, pulp and fuel. Native Americans used the trunks for dugout canoes. Fabulous native tree to the northeast woodlands. Not a good choice for small landscapes because of the many problems noted above. But an important tree to use in woodland restoration projects and for naturalization. This is the Tennessee state tree! While the tulip poplar is an acceptable shade tree it is highly desirable as a timber tree. The price of logs for veneer is better than for other common timber . For me it is great in a hardwood forest. As a shade tree it does have an advantage in that it does drop it leaves early and over a very short time interval. Oaks hang on and dribble. To Hoosierfarmboy I say ( Amen) and well spoken. I am sorry to hear of all three of the negative comments. The Tulip Poplar, State Tree of Indiana, is one of the most beautiful and stately trees I know of. Whatever problems accompany it (aside from damaged roots caused by construction) are insignificant in comparison to its innate value in an appropriate landscape or forest. Mother bought the house because of this big beautiful tree. The tree along with several sugargum trees left the yard littered year round. On Aug 18, 2000 all 120' of the Tu[ip Poplar did a 90 degree twist and laid right over on its side across the right side of her house. Seems the root was damaged back when the house was built in 1962. Good Insurance, but emotional nightmare. If you have a choice dont plant a tulip poplar or a sugargum tree. I've enjoyed the shade this tree provides in our backyard here in Portland, Oregon. However, right now I'm researching how to resolve an on-going messy aphid problem. It makes enjoying the backyard difficult because the lawn is sticky. I've spoken to a local nursery that recommends a product made by Bayer that is applied by mixing it with water and pouring it from a bucket at the base of the tree. Our tulip tree is probably 70 feet tall, with a circumference at the base of 115 inches. We have am 80' tall Tulip Poplar in our yard. Last year we had wonderfull blooms all over the tree; this year there are none. I just noticed these growing around my house a few days ago. Mostly, I've seen them growing at the local water resevoir. I think they're beautiful trees and I love the smooth leaf shapes and the light coloring, not to mention the unusual flowers. I have noticed the slight mess it makes when dropping flowers at the slightest breeze or after rainfall. So I wonder why people use it as a landscaping tree? Grown in the woods and natural areas, it shouldn't make a difference and the flowers rot and enrich the soil. It's a natural cycle. Most importantly, this tree is a larval host plant for swallowtail butterflies. I've forgotten to add that I never see the trees on my property in flower. I never seen dropped flowers eit... read moreher. Yet somehow, the seeds appear on the ground every fall. I LIVE IN EAST TEXAS AND HAVE A VERY LARGE TULIP POPLAR IN MY YARD. IT SEEMS TO BE THE ONLY ONE IN THIS AREA. IT IS A BEAUTIFUL TREE, ESPECIALLY THE BLOOMS. THE ONLY COMPLAINT I HAVE IS IT LOSING IT'S LEAVES SO EARLY - AROUND THE END OF JULY. MY YARD IS THE ONLY ONE THAT LOOKS LIKE FALL IN THE MIDDLE OF THE SUMMER! I live in Merced, California where we have dry heat in the summer with many days of 100+. In our back yard is a 20 year (+/-) Tulip Poplar that stands 70+ feet. 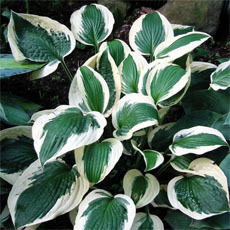 I really love it for the shade, the beautiful color of the leaves, and, since spring, I've become a true fan! The lovely flowers have me in awe! We just recently moved to this community and I had never seen the Tulip Poplar. It is planted along many of the streets in town. I've been asking Merced natives if they knew anything about them, and described the flowers......nobody knew the name of the trees, and NObody had even noticed the flowers!!! Because I was unfamiliar with the tree, I have been searching for any information I could find. Hence, my arrival to this great place....Great help, THA... read moreNKS! My son has a 100 foot tall tulip tree in his rear yard in a suburb of Atlanta, Georgia, and really loves this tree. It is tall, broad, and straight, and is down a slope from his patio, in a wooded area on the West side, so it provides afternoon shade for his patio in the Summer, but the leaves drop onto the forest floor in the early Fall. The yellow flowers are quite unusual for a tree, of course. He does have seedlings everywhere, and I have dug up some quite small seedlings from his lawn and given them away to his neighbors who admired his tree, but he mostly just mows them down. He has allowed a few seedlings along a drainage ditch to grow up, along with oak and maple seedlings. We have never considered it a "trash tree," and I've read that there are... read more some famous gardens on old estates here in America under forests of widely spaced tulip trees. John Tradescant the Younger, son of John Tradescant the Elder, royal gardener to King Charles I of England, visited America in 1637, 1642 and 1654, bringing back many plants to England, including the tulip tree, where it became popular as an "avenue tree," lining long drives to great estates, chateaus and castles. So, as usual, Europeans are more appreciative of our native flora than we are. I have two specimen Tulip Poplars at the front of my property, each side like sentinels - probably 70' tall. They have their uses, but are, as previous comments indicate somewhat a trash tree. They all look alike. They, like almost all trees are "windfirm" if they grow on their own in the open. The ones that come crashing down are usually ones that were left from a forest when clearing was done for construction, etc. Tree trimmers (not tree surgeons, just hired butchers) working for the power company regularly hack the front of my two trees. In defense I have grown wisteria in both trees to drape and soften the ugly faces at the street side. This tree is very common in central New Jersey. I grew up wandering deep green glades, often, under the canopy of tulip poplars. 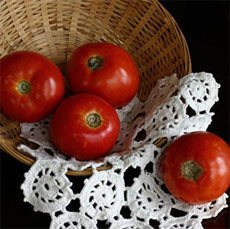 It is a fast grower, one which often helps reclaim abandoned fields. It is also VERY popular with honey bees, producing a deep dark, very rich honey. I'd only recommend that one not plant it close to the house, as these trees can be susceptible to high winds (like in coming down)if the are not in a forest, surrounded by other trees, which break the force of the wind. This is a warning that my brother, who works with trees and landscapes, tells me whenever the subject arises. Yet I have seen some immense Tulip Poplars, standing alone, in fields, and they have been there for many years. I live in Tennessee and this tree reminds me of an old littering campaign in this state called "Tennessee Trash". I have several of these on my five acres and too many near the house where we have lawn area. By the first of August every year whether it rains or is dry hot or cool this tree looks like October and is littering the yard and pool not to mention the gutters on my house. I like the fact that they are fast growing but this is becoming a real problem. We have to start raking long before fall. I wonder if I can save these giant litter bugs or just remove them. So far I have had great success with my tree. I live in Pymatuning Pennsylvania (U.S.) and the tree is about 40-50 feet tall. I do not know if this is true but I was told they had to be 10 years or older before they will produce tulips. It came with a cottage I bought and I was very amazed when it bloomed tulips on the third year I was there (1999), when it was ten years old. I now look at this tree as I come out the front door and I notice the tulips right away because I have massive brances starting at about 4 feet up the tree and they produce a large amount of tulips, unlike what else I read about the tree. I read that they only produce flowers on upper branches. Also some of the leaves on this tree are very large. At this time the tree is producing majo... read morer seeds. I am trying to get the exact details on what to do with the seed so I can insure that this tree is reporduced. It is the best-looking tree in my entire large yard and I want another one or two, but further from the house. I am a little concerned about the eventual height of the tree - up to 111' tall and 31 feet around. I am afraid I will have to cut this tree down eventually and would like to have more of them started. I encourage anyone with the room to grow this tree for both the beautiful tulips and good looking leaves. We have just moved from England to the Dordogne in France. We have this great park land in front of the house on it we saw this great tree, the flower were big and many were on the top branches. This was a new kind of tree for us to see, it is over 70ft tall and looks so beautiful. If anyone in France has one like this I would like to hear from them, as I would very much like to grow another one from the seeds on the bottom branches. Very tall and fast growing and one of the best shade trees for the deep south. Its leaves turn a very handsome shade of gold in the fall. 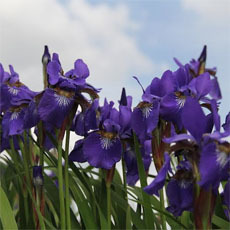 Can be grown from seed, but difficult to transplant from the wild. Has a huge, columner trunk. Seems to like moist, well-drained soil. Leave may turn yellow from drought. I had one of these in my front yard for 30 years. The aphids love it. It was an unfortunate choice by the city as THE landscape tree for a very long street. The aphid "doo" was so thick that it was like walking in light rain. Under each tree was a sticky dark goo. The only cure was a professionally applied systemic, which the city (who owned the trees) was very reluctant to use. This tree grows tall and straight.The unusual flowers were the inspiration for the common name; they're shaped much like a tulip with greenish-yellow petals blushed with orange on the inside. Because they generally are found high in the leaf canopy, the flowers often go unnoticed until they drop off after pollination. The leaves of this tree are also quite distinct, with a large, v-shaped notch at the tip .The tuliptree can reach as tall as 190 feet where it's allowed to thrive, but it is more likely to reach 70 feet in height as a mature landscape specimen.